NEW DELHI: ZTE has released the new-generation cloud TECS 6.0 at the OpenStack Summit Sydney. Lu Guanghui, Chief Architect of ZTE NFV, affirmed that in the coming 5G era, telcos need the intelligent, convergent and high-speed 3in1 cloud infrastructure. According to Lu Guanghui, the 5G mobile broadband system is a full-service and multi-technology convergent network. To meet consumers’ demands, the 5G network should support larger bandwidth, lower latency, higher reliability and massive users. For the sake of operation demands, the 5G network should be elastic, automated and intelligent. For telcos to pave the way to network evolution and address future challenges, it is the key to build an OpenStack-based platform and cloud infrastructure featuring intelligence, convergence and high speed. Intelligence: The future-oriented OpenStack-based intelligent infrastructure operation and maintenance (O&M) system introduces AI and machine learning, and achieves on-demand network customization and Zero Touch O&M, meeting large-scale deployment demands of infrastructure and reducing OPEX of massive users. Convergence (in three levels): First, the cloud infrastructure needs to guarantee the full convergence of NFV and SDN, achieve the synergy of cloud and network as well as IP + optical synergy, enabling unlimited resource allocation through network control and coupling. Second, it requires the full convergence of virtual server, container and bare metal to achieve on-demand allocation of any resource. Third, it shall realize the full convergence of IT and CT to meet comprehensive service needs. High speed: 5G-oriented cloud infrastructure, based on the legacy COTS hardware, introduces new hardware acceleration and software acceleration technology to address the high bandwidth and low latency demands of 5G network. As the world’s leading integrated communication solution provider with solid experience in commercial use of cloud infrastructure, ZTE has deployed its product TECS, an OpenStack-based cloud operating system, in lots of private cloud and public cloud networks around the world. To date, ZTE has launched over 280 commercial/POC projects of cloud infrastructure worldwide. 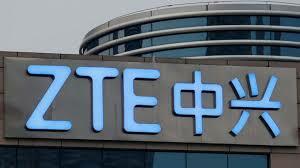 ZTE is in cooperation with mainstream telcos such as Telefonica, AMX, Telekom Austria Group (TAG), Telenor and China Mobile. It is also the exclusive NFVI supplier to VEON, one of the world’s largest telcos. In addition, as an advocate for the openness of cloud infrastructure, ZTE has proactively participated in ETSI, 3GPP, ONAP, OPNFV, OpenStack, OpenDaylight, ONOS, CNCF and other standard organizations and open source communities. 5G era needs the 3in1 cloud infrastructure: ZTE 0 out of 5 based on 0 ratings. 0 user reviews.